I promised that I'd let you know what my "word of the year" was and why I chose it, so here it is! Before I begin, some of you have no idea what I'm talking about, this "word of the year" stuff. In summary, in lieu of or addition to your more traditional resolutions, some folks like to pick a word (or two!) that serves as an overarching theme for the year. Intentional, focused, grace, happy, strong, balance, and commitment are all great examples. Something motivational. Overarching. Something that has meaning for you, not just defining one small area of your life, but the bigger whole. In fact, there is an entire blog devoted to this idea called "My One Word" (I just found it this morning) where the writer explains this growing movement and offers a huge list of words and quotes to help you choose your own. Like some of you, I can find myself discouraged by the many New Years resolutions that I set, and my seeming inability to follow through. Because of this the simplicity of choosing just one word to focus on really appealed to me. That's not to say I didn't also jot down other resolutions. Yup. That one. In 2011. 2012. 2013. 2014. 2015...2016. I must be a sucker for punishment. (I will say, I have made slow and steady progress. The reality is that organizing a home with five people, 3 of whom are just learning what "pick up" even means, can feel like a herculean effort. The other reality is that some people are just naturally gifted in this area. And maybe don't feel so ADD-ish in their attempts to organize...I wish I were one of those people. My sister, Katie. My friend, Carla. Other friends too...Sarah E., Dana H., Danielle. You ladies know who you are. Can I come over for some housekeeping lessons, please?! I always joke with Scott that those friend's houses (the gifted organizational types) always feel like "big people houses" when I visit them. Ours feels more like a dorm room most of the time. The whole house...one big messy dorm! We like to use the phrases zoo, barn, and circus to describe it on other days. So, I did set some goals for the year. Lots of them actually. If I get around to it I'll summarize and share some of those with you next week, but I also picked my word/theme for the year. The two words I will hinge my heart on when all of my other resolutions are going to...ahem...Honolulu in a hand basket. My theme for 2016 is...Love Well. Love, on it's own, sounded too...simple. Mushy, maybe? Certainly too vague. Love well, on the other hand. It seemed to capture everything I really want my life to be about. Even on the days when I feel like I'm failing miserably. I want to love my children well and this means being intentional. It means listening. It means putting aside my agenda and playing with them more often than I naturally do. It means notes in lunch boxes, snuggles on the couch, words of affirmation telling them how great they are. It also means discipline...sometimes. And tough conversations at other times. It means teaching them how to be responsible and develop discipline and self-motivation in their own lives. It means being actively engaged and continuing to do these things even when I'm dog tired. I want to love my husband well. This means a lot of things that don't always happen in the midst of our hectic days either. Telling him I'm thankful for him, that I love him, and that I'm super glad we get to do this thing called life together. Maybe an unexpected gift. Maybe a note. Maybe asking him what he'd like to do on some random day and gifting him the time to just go and do it...no questions asked or time limits given. Little things mean a lot when it comes to your relationship with your husband...I want to remember that, and more importantly I want to follow through. Love well...my extended family, neighbors, friends, church acquaintances...the ones I know well, and the ones I could take the time to get to know better. 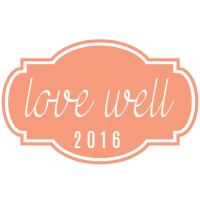 The reality is that "loving well" usually means slowing down. It means making relationships a priority over task lists. I feel like I used to love well...before I had kids. At that point, especially after we had our third little one, I got so bogged down by the seeming non-ending to-do list that I stopped being intentional about things outside of our immediate family life. 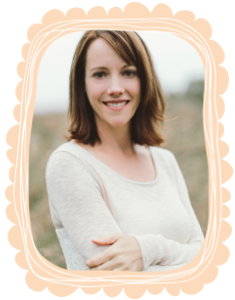 At some point, as parents, we often find ourselves so consumed with loving our families well (or last least meeting their needs) and figuring out how to balance "it all" that those outside our immediate family circle are forced to take a back seat. And, to some degree, that is ok, even normal- for a while. But eventually, you must re-connect, re-engage, start looking outside of your immediate circle a little bit at a time. I want to recast my vision. I'm ready to re-engage in the wider world and try to spread a little bit of love in more places than just my home. I want to be an example of loving others well, so that my children see what that means. I want us to love others well as a family as often as possible and when the opportunity arises. "Above all," Peter says, "love each other deeply because love covers a multitude of sins." The mommy version might say, "love each other deeply because love covers your cranky days, impatient moments, mishaps with words, ignoring your neighbor, being angry at the DMV lady, and all other foibles as a mom." Not that we should ever use love as an excuse, ("I can be cranky now and love them later! "), but I'm quite thankful that my love for my children is hopefully making a bigger impact that my mistakes, because, well...big confession here--I am human. I do get tired and impatient and cranky. I'm a female...ahem...with occasional (errr, monthly) PMS. Thank heaven (literally!) that love is bigger than all of that! So go forth and love well. Pick a word for the year, or share the one you've already decided on. Set some New Years resolutions, but hold them loosely with arms open wide if you are parenting little children whose needs and demands often usurp our best intentions when it comes to goals and resolutions. And choose to be ok with it all. P.S. 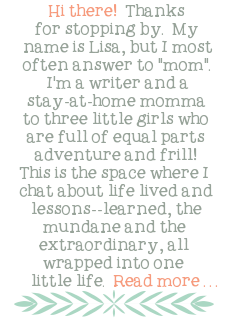 My super creative and talented friend Traci, who also recently re-designed my blog, created my word logo for the year. 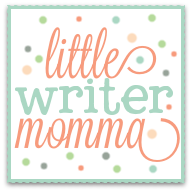 If you have a blog and want a word button, she can create one for you too! Visit her at www.tracimichele.com. More specifically, her post about creating word buttons can be found here. I hope that you all had a wonderful Christmas, some good vacation time, and a great New Years celebration. We had our share of colds, coughs and even a bout of strep throat (the hubby, 2 days before Christmas! ), but we've all come out the other end and are excited for the possibilities that a new year holds. We took the kids out for the first time this New Year's Eve, which was fun. In some ways it felt like it marked the beginning of a new era. We've bid adieu to the adult only parties (for a while anyway), and have exchanged them for confetti poppers, plastic necklaces, sparkling cider and Doritos. 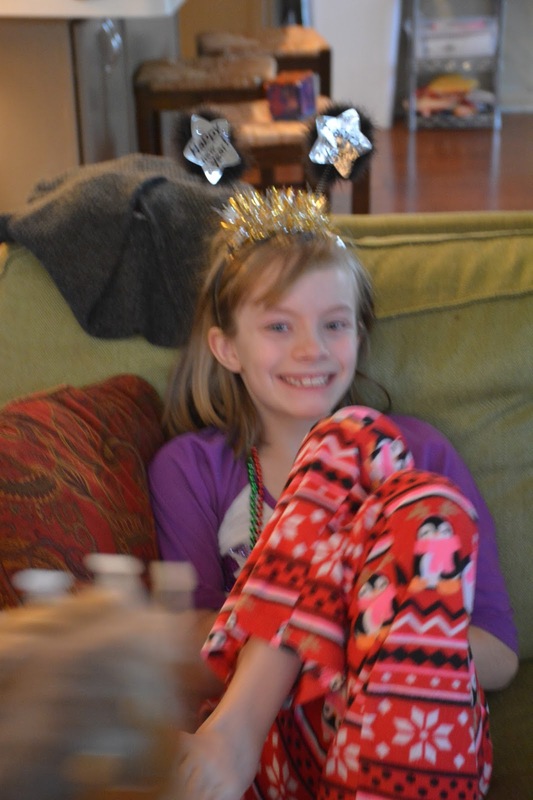 We gave our oldest daughter the green light to stay up until the ball drop, which she has been itching to do for years and made plans to drive into the city for dinner and some First Night stuff and then head back home for snacks and t.v. Our Dinosaur BBQ dinner fit the bill with the kids-- Aubrey managed to spill her lemonade all over the floor, then a glass of water twenty minutes later. I sopped up both spills with a copious number of napkins which accrued in a heaping pile at the foot of our table, while apologizing to the wait staff for the mess. I laughed at the nuttiness of it all, and about how we have become "those" people with the kids at the table in restaurants (which is why we don't go out to eat out very often these days). I mean, if I were a waitress I'd run if I saw us. Fortunately, our waitress was six months pregnant with her first child and seemed amused by the whole thing. Is this what I have coming? she asked. After that we headed over to the convention center where we were entertained by Jeff Musial, the animal guy, and then endured a rather odd routine by a self-proclaimed contortionist and comedian who must have gathered inspiration from Napoleon Dynamite. The guy plunged himself through a toilet seat, made bad, racist jokes and while some of it was funny, many moments left Scott and I cringing and wondering how we ended up there. Aubrey rode one carnival ride, the girls ran through a "Ninja Warrior" obstacle course, and we all left relatively entertained. By all accounts it was a successful New Year's celebration. I went to bed at 12:01 with Ava proclaiming to 'not be tired'. I told her she could stay up for a few more minutes if she wanted to help dad clean up the kitchen, which she readily agreed too (nice move, right?!). Ella, unfortunately had a terrible cough, and while we had originally told her she could stay up, we pleaded with her to go to bed at 11 so she could get some rest. 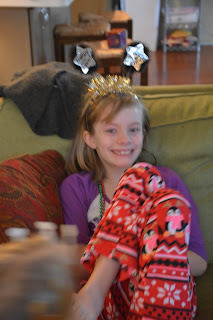 We rolled in the New Year with homemade crowns from Dollar General! Welcome to the midnight club! Yes, I let this go off in my living room...while we re-watched the ball drop with Ella on New Years morning! I haven't had the time to contemplate 2015 the way I would like to...you know, with a hot cup of coffee and lots of uninterrupted time to sit with a pen and a journal and just scribble thoughts till my hearts content. I haven't even really had time to solidify any resolutions for 2016, though I did settle on a "word" for the year, which I will tell you about next week since this post has already gotten rather long (and I'm trying to wrap it up with sick kiddos at home!). Oddly enough, we have some pretty big deal family trips planned for 2016-- one for a wedding in England and one to visit some very good friends who all happen to live in Salt Lake City by a matter of coincidence. 1. "Get my ears pierced." That would be Ella who we promised could pierce her ears on her 7th birthday...it's a milestone in the Littlewood household, and one that she has patiently waited for. Scott is not a fan of those mall ear piercing kiosks (which is where we took Ava, and where they pierced her ears unevenly! ), and so she will be getting them pierced at a local tattoo studio owned by my cousin. I told Ella she will be the only 7 year old I have ever met to have her ears pieced in a tattoo studio. You can tell by the gleam in her eyes that it all suits her just fine, and might fit her far better than some mall kiosk with a dirty teddy bear anyway. Yes, England, the country. Not New England the regional area where Scott and I lived for a while. Yes, England...like international flight with three children who don't have passports yet, one of whom will not quite be 3. Haha. I pity the people next to us on the plane. Alas, my brother in law (the hubby's twin) is getting married to a lovely British girl who hails from the London area in early April. We toyed with the idea of leaving the kids in the States and just heading over by ourselves, but struggled to figured out a reasonable babysitting option because his mother, who is usually our overnight, Mary Poppins, babysitter extraordinaire will be in England for the wedding. And, while I do have family here... it's a long story and in the end it was either I stay home with the kids, which for a very long while seemed like the safest, most logical and reasonable option, or we all just go. Scott was always a fan of us all going. Finally, and this is kind of how we make many of our decisions (like when we were deciding whether to have a third child, for example! ), in a moment of "yes" we took the plunge and, in this case, bought the tickets. In that other case, well, you know. We're going to embrace the adventure of it all. And while "adventure" is not my "word" for the year, I'm beginning to think that it should be. The reality is that my family didn't do a whole lot when I was growing up. Money was an issue, for one, but my parents have also lived within very limited means emotionally their whole lives. That is a whole other story entirely, and not one that I'm going to venture into here, but at the end of the day I want my kids to embrace their lives with eyes wide open. I want them to see new people, places, and things. I don't want them to live safe lives out of fear, or safe thinking, but to embrace curiosity, and have the confidence to explore new places and ideas. Now that I think about it, that might be "resolution" enough for one year, but the reality is that I, of course, have all sorts of writing and reading ideas up my sleeve as well. I probably won't be able to tackle as many of them as I'd like, but I'm going to keep jotting them down, keeping them fresh and kicking them around. I refuse to allow life to become so monotonous that "adventure" seems like a bad word. I look forward to sharing my other "word of the year" with you later this week, and keeping you up to date on all of the other shenanigans going on in the Littlewood household. Until then, drop a comment or thought about any adventures you are hoping to go on this year, particularly with kids in toe. Here's to the crazy adventure of 2016! P.S. For the record, I'm posting this 3 days after I wrote it because the babe got sick (double ear and bronchial infection), and then our oldest has been home with me for two days with severe congestion, and a sore throat.The hubs was out of town for two days (back home tonight), and I'm popping massive numbers of vitamins in an attempt to stay healthy. I've snuck away to re-read this quickly and make any corrections I can find, but apologize for any egregious typos (I'm sure there are many!). That's about how the cookie crumbles around here these days!